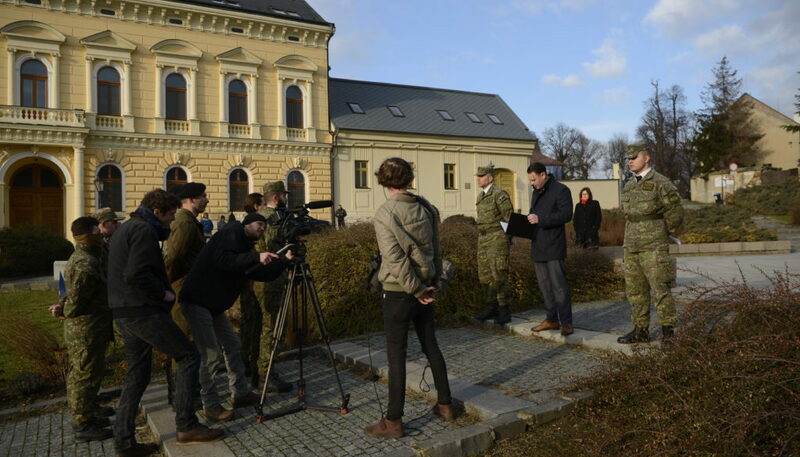 In autumn 2018 , a new documentary When the war comes about Slovenskí Branci (Slovak Recruits – translation VSquare) was released. Its director Jan Gebert spent three years filming a group of Slovak nationalists. The documentary captured the beginning of the successful way of Peter Švrček, the leader of Slovenskí Branci. The director himself says that a huge increase of similar groups is not a local problem in Slovakia. 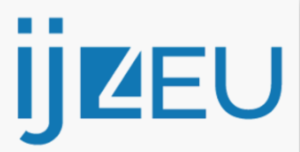 It is a global trend and also a reaction of part of the East European society to the last 30 years of democracy and capitalism. Their ideology doesn’t remain on the margins of society anymore, it has become a middle class problem. The radical group of Slovenskí Branci suddenly took off their uniforms and it goes into politics right from the Slovak woods, where they have trainings. Eva Kubaniova: What was Peter Švrček’s first reaction when he saw the documentary? Jan Gebert: Laughter. But it does not say much about his personality. That was a spontaneous reaction by seeing the film about himself and being excited. The next day he wanted to sue us. They claimed they will not give me a permission to release the film with their faces exposed and threatened me to block the premiere of the documentary. Fortunately, a couple of hours later they changed their mind again. Generally, I think their responses depended on how the society reacted. They themselves are not able to see what the viewers are or to see a warning in the film against their ideology. I was surprised when I managed to film a regular Slovenskí Branci’s meeting and Švrček announcing that he wanted to declare himself as a leader of Slovenskí Branci for life and to cancel the election. It was such an Orwell’s moment from the book “Animal Farm”. That nicely illustrated his mindset and the model of the society that he might like to implement in all of Slovakia one day. They do not understand that these scenes show pathology and can discredit them. He really does not understand why people judge him for what they saw in the film. I think he does not like the documentary. At the same time, he never said publicly that the film was not true. Do you think those scenes will impress his followers? Is he proud of them? Of course, he is proud of what he is doing. But he does not understand that the documentary shows more than personality of Peter Švrček, it shows a mechanism of a totalitarian society. What kind of people are his followers? In my opinion, it is an average sample of the middle class. Which shows us that this ideology is already very close to us all. It is not a problem at the margins of society, it is a middle class problem. Did he want to delete some scenes? Yes, some of them. Surprisingly, the moments of spontaneity. 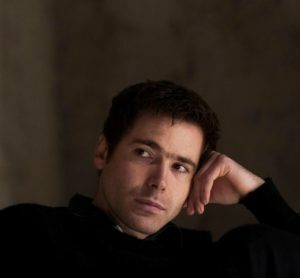 For example, when he watches a TV report on himself, a scene where he is very casual and relaxed. And of course he wasn’t happy with the scenes when he drives around a group refugees and his colleagues yell at them some hard insults. But in the end, he acknowledged the scenes were real and he accepted it. In the end, he did not question the picture of him that is showed in the documentary. And what about the Night Wolves scene? Their cooperation was discussed in all media. He had no problem with the scene. It was just the short, night part of their cooperation. Nothing controversial. A year ago (2016 – VSquare note) it was more interesting. Peter Švrček founded a motor club Vlastenec in 2016, because he intended to create a similar bike group as the Night Wolves – Putin has his bike club so Peter wants one too. We we were able to film an evening party organised by the Night Wolves where Slovenskí Branci provided security. We realized that the Night Wolves have quite a lot of supporters even among the Slovak officials. The mayor of Nitra together with the Night Wolves, the Russian ambassador and Slovenskí Branci planted a Slavic lime tree in Nitra’s park. This official event nicely shows that politicians are part of this ideology. The Mayor of Nitra was very supportive to Slovenskí branci at the time. He likes Russians. Did you have any other problems during the shooting? It was very difficult to shoot Švrček’s human face. I wanted to capture the daily scenes of himself having a dinner, celebrating his birthday. I really wanted to show him at the beginning of the film as a human being, because part of his personality is indeed an ordinary and even charming guy. I wanted to show him the way to make people feel he is not so different, he is not a monster or an idiot. I think it is very important to the audience to be able to identify with the main character to some extent and then at the same time to show his dangerous ideas – this could cause a complex range of emotions and make almost everyone feel uncomfortable. It is very important to realize that these people are very similar to us. If they are ones of us, we need to ask ourselves: how come this ideology is now successful among ordinary and otherwise decent people? At the same time there is hope for change. Because they are still humans. In their case we see clearly that evil is not transmitted only by monsters, but it often infects people who are not fully aware of what they are part of. Honestly, a large number of Slovenskí Branci cannot see any wrongdoing in their actions. Is the entire organization of Slovenskí Branci based on the leader Petr Švrček? Sure, without him, it would have lost its course. He is the person who gives it a vision. This was also obvious on the training sessions. When Petr Švrček was not there, it was a regular military training. Petr Svrček suddenly brought additional value to it. He was introducing new rules, gave speeches about ethics, courage and about the punishments he had invented. No one else in the organization had the capacity or the enthusiasm to do it. It is not a coincidence his followers respect him as their supreme leader. He gave Slovenskí Branci also a political direction, which is now their main path. 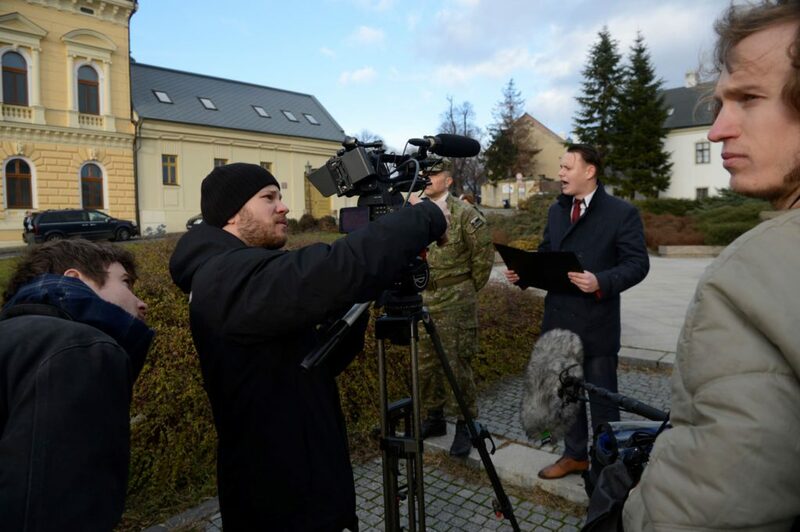 He works very closely with Štefen Harabin [one of the candidates f0r Slovak presidential election 2019 – VSquare], Švrček name appeared in the memorandum Manifest of Slovakia, in which he would be responsible for the national defense. 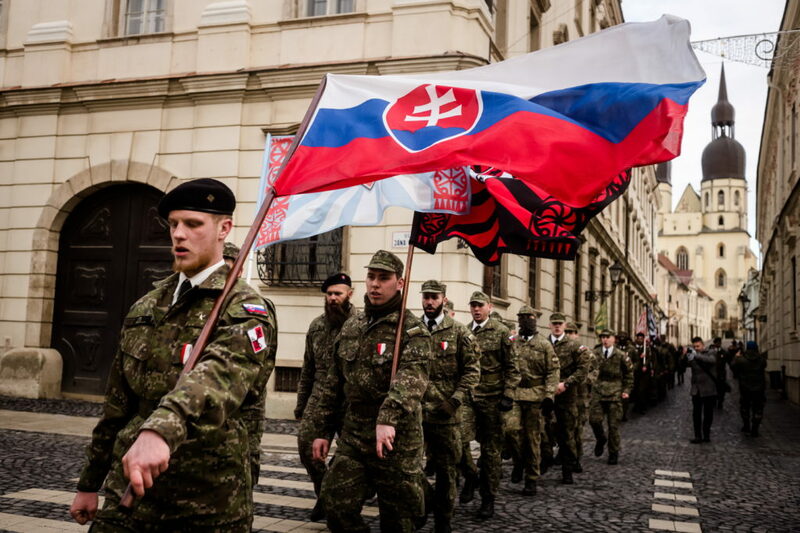 Švrček says the government is incompetent, NATO is too slow to handle an emerging conflict and he wants to reform the Slovak Army to be something like Slovenskí Branci. He goes into politics and he has already found the allies. Do you think he will be successful in politics? He could be. He has the skills and dedication. And now also the contacts. Do you mean Štefan Harabin? Yes, I do. But if it is not Harabin, it will be someone else. Or Petr Švrček himself. But in my documentary I focused on the rise of a dictator. And his first step to politics. How did this little dictator arise? At the beginning, Peter was quite a normal boy who had his own uncertainties in school and in the trainings. But he was driven by the ambition to become someone very important one day. He found out that not only his followers are listening what he was saying, but also felt that the society is either silent or sympathetic, even the cops express their sympathies. The society is silent. And its silence is the main attribute of such a man’s success. It encouraged him even more. He also found out that some top politicians like Donald Trump, Hungarian PM Viktor Orban or Czech president Miloš Zeman have very similar views as he does – on democracy, freedom of speech, refugees. The ideas stopped being extremist anymore and became a backbone of the mainstream political speeches. What is his activity about? What is his goal? I think this ideology is only a vehicle that he hopes would bring him to power. Does he use the populism tendency to raise himself? He understands that nationalism now resonates in the society and he feels strong. I think the immigration wave in 2015 and the paranoia spread by many top politicians brought him many new members. Are Švrček’s ideas a form of patriotism? I think patriotism and nationalism are two different things. I think patriotism really tries to improve the community and is not afraid of his past or his neighbours, whereas nationalists need an enemy and someone to hate. I think he falls into the second category. In whom does he see the enemy of Slovakia? I would say it is more of an international civil war. It would be very easy to claim that he is afraid only of the Muslims, but in reality, the Muslims are the same way far away from the Švrček’s ideology as half of the Slovak or European society who are democrats. The enemy is therefore all the “people from the other side”. I think he could rather accept a Muslim in his organization who would integrate and match his own mindset than a liberal Slovak. Do you think that other Švrček followers would accept an “integrated Muslim”? I really do. I do not think that Slovenskí Branci prioritize any other race or nationality. It is not the old school racism. It is more a question of values. 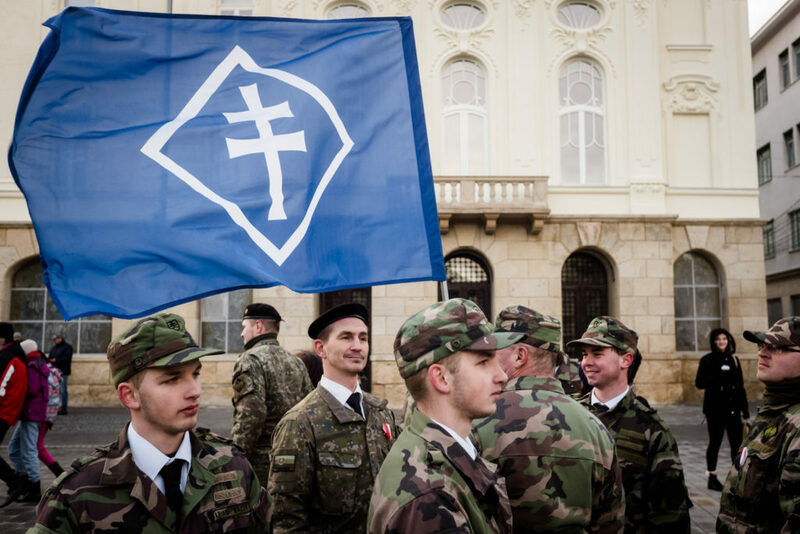 If an integrated Muslim would accept Švrček´s military model and have the same views on media and democracy, he could possibly become one of them. I would say that it is the model closest to Putin’s Russia. The authoritarian order, which is controlled by a strong individual but does not share the power with the media or with civil society, it has a one-sight view of regional history, which is more a myth than a critical reflection. What is most dangerous about the organization Slovenskí Branci? Perhaps the greatest danger is that they are accepted by Slovak society and also by the government. When you have a group outside of the control of the state that boasts with the armed trainings in Slovak woods while hating NATO and the EU, it is a problem. But as long as it is a problem in the woods, it remains at the margins of the society where it has always been. But it becomes much more serious when suddenly, this group takes off their uniforms and puts on suits and goes into politics with the same ideology. It could be a much more dangerous situation. And that is happening right now. In politics, Petr Švrček can be more harmful than his 160 members “playing” in the forest. Who should intervene? There is freedom of speech, everyone has the right to expression. Certainly, I do not deny that. I’m just trying to alert you to be able to read this new form of danger in its new manifestation. They are no longer idiots or old school fascists. They now look like clean cut kids, ordinary people. I even invited Švrček to my debates. It seems to me very important to give those people a voice – once they are part of the problem, they should be also part of the debate. One of the reasons why they are so loud and radical, is that they feel nobody is listening to their fears. Banning their organization wouldn’t help. I tried to contribute with this film which is something like a diagnosis that shows the real face. The only recipe is to be better than Petr Švrček and transform the society’s fear and uncertainty into something meaningful. Not an ideology of guns. In this aspect, the democracy is failing. When you ban the group, it would give them another reason for bigger radicalization. Democratic society must be better in communication with citizens, listening to them and not laughing at their problems. What does this document say about Slovak society? I did not think that my documentary was a statement about Slovakia or specifically about this group, nor was it a story about the militarization of society. I tried to extract something universal that touches the whole of Europe, not just the Slovaks. It is the story of the birth of a leader, of what must happen to a person who is initially funny and doing trainings in the forests to become a leader. Here in this case – Petr Švrček from Slovakia. Is this a European problem? Certainly. In Central Europe, it is a defiance of the last 30 years of democracy and capitalism. There are people who do not identify with the liberal system and they feel humiliated. They are often labeled as fascists by liberals or they feel nobody is listening to their fears, I think that is the reason why they are looking for these types of leaders, that are popular, with whom they can identify. They speak the same language. Whether it is a young guy like Peter Švrček or an experienced politician like Miloš Zeman. They are the people they can identify with. They share the same values. Do you consider Slovenskí Branci as fascists? They are not fascists. Evil never takes the same face twice. We cannot apply the term “fascism” of 20th century on these people. They are not even simply far right, as people usually label them – in fact they connect both far right and far left. They admire the Soviet Union and socialism and the government of a firm hand and strict rules. It is an ideology that is very similar to fascism but has different face that is sometimes harder to read. That is why I wanted to contribute with my documentary to identify this new face of arising danger. Although Peter Švrček is a smiling, communicative and charming boy in a suit at this moment. Such a face can be hiding a dangerous ideology. Modern “fascists” are no longer skinheads. Jan Gebert (born in 1981) graduated in History at Charles University in Prague and also studied in Spain, Mexico and US. He worked as a journalist and film maker. His mid length debut Stone Games (2012) was awarded at IDFF Jihlava with Jury’s Special Award. His feature debut When The War Comes (2018) was an opening film of Panorama Dokumente at Berlinale and received many festival awards including Best East European Film at Astra Film Fest, Best Documentary Film at Let’s CEE Festival and Gian Paolo Paoli Award at Festival Dei Popoli. The documentary When The War Comes (2018) was produced by PINK, co-producer HBO Europe, Hulahop with the financial support of Czech Film Fund, Institute of Documentary Films, HAVC.